St. Bede Choir at the O2! We are all having a great time here at the 02! 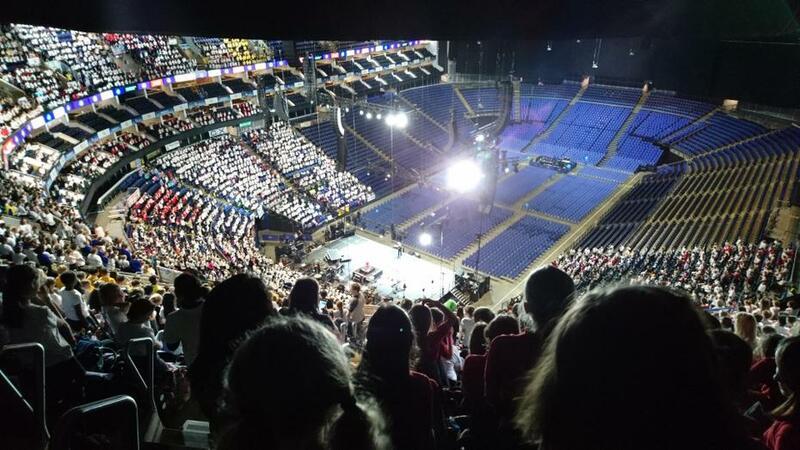 We have really enjoyed the rehearsals with over 9000 other children from school choirs around the country and now can’t wait for the “live” show. Since taking this picture, we have moved lower down but hopefully this picture will help you spot us if you are attending later this evening!